Our beautiful, new apartment is located on the ground floor of the house starfish in Strandpark Großenbrode. With one bedroom and a comfortable living area with pull-out sofa, our apartment for 3 people enough space. The kitchen is well equipped with stove, microwave, coffee maker, dishwasher, refrigerator, toaster, kettle, etc. and leaves nothing to be desired on holiday. The living area invites you to cozy hours with a sitting area, a reclining chair and a wood-burning stove. We have purchased board games for adults and children, books and children's toys and want to use them. Our guests have a beautiful spa with sauna and whirlpool. A high chair and a baby travel cot are also available. Enjoy the hours of sunshine and relax on our terrace. Our kitchen is equipped with a Teegeschirr- and sieve and an electric kettle. Socket guards provide security. The apartment has underfloor heating. A drying rack is available. Furthermore it contains a lockable free bike rental available. Das war ein wirklich schöner Aufenthalt! dieses Lob kann nur man nur mit einem herzlichen "Dankeschön" beantworten. Ihr Team von Fewo & Meer freut sich schon auf ein Wiedersehen. die Wohnung ist soooo schön, sauber, warm und gemütlich. wir haben uns einfach nur wohl gefühlt und sind total erholt wieder nach hause gefahren. Liebe Gäste, vielen Dank für diese sehr schöne Bewertung und es freut uns wirklich sehr, dass Sie einen tollen Urlaub bei uns verbracht haben. Wir würden uns sehr freuen wenn wir Sie wieder bei uns als Gäste begrüßen dürfen und wünschen Ihnen bis dahin eine gute Zeit. Alles gut. Schöne Wohnung, gut gelegen. 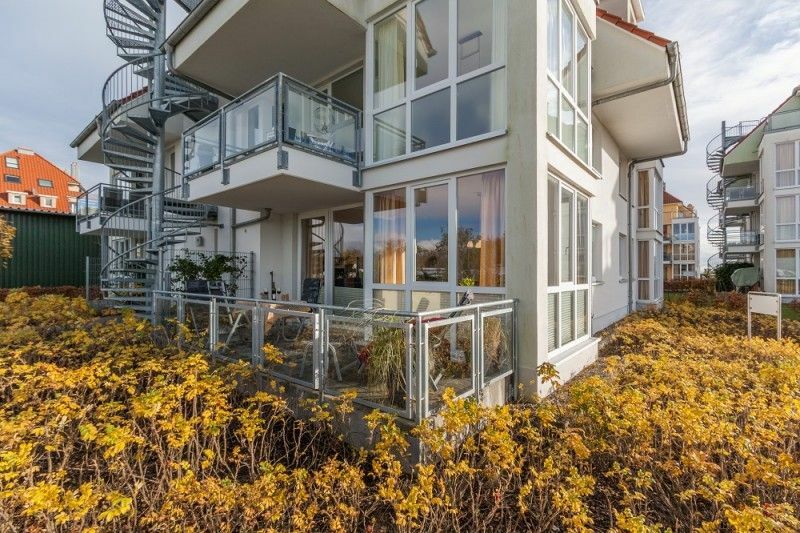 The Strandpark Großenbrode is only a few steps away from the promenade and the Baltic Sea. Enjoy in every season the fresh Baltic air and the beautiful fine long sandy beach. Restaurants, cafes, bakers and small boutiques invite you to stroll and linger. The marina, countless sports facilities and beautiful playgrounds are on site, Heiligenhafen and the island of Fehmarn are only a few minutes drive away. There you will also find a nice water park. Fun and action can be found in the nearby Hansa Park. The Kurmittelcentrum offers massages and spa treatments.